Located near the Canopic Mouth of the Nile, Heracleion was an ancient Egyptian city beneath the sea that was lost 12000 years ago. Appearing in few rare inscriptions, the city of Thonis - Heracleion was something like there was no one looking for it. It was really shocking when popular French Archaeologist saw a colossal face emerging from the watery shadows. The archaeologists stumbled upon Thonis Heracleion 6.5 km's off Alexandria's coastline. Underwater he found 64 ships, statutes standing at 16 feet, gold coins and most notably the remains of the temple to god Amun-Gereb and small sarcophagi that were brought as offerings. Slabs of stone carved in both ancient Egyptian and Greek have also been brought to the surface. It is a major city we are excavating. In early 2000’s, a group of divers near the Egyptian coast found a huge rock under the seabed. It was a piece of salt-encrusted rock but left intact. Along with those pieces, other treasures were also found including oil lamps, precious jewelry, busts and processional barges. Scientists working on the project still don’t have idea what caused the city to submerge into the water, but it is thought that gradual sea level rise met with the sudden collapse and dropped the city by 12 feet. By the 2nd century, Heracleion era of pomp began to fade but the new metropolis of Alexandria was getting established itself as a Egypt’s preeminent port. 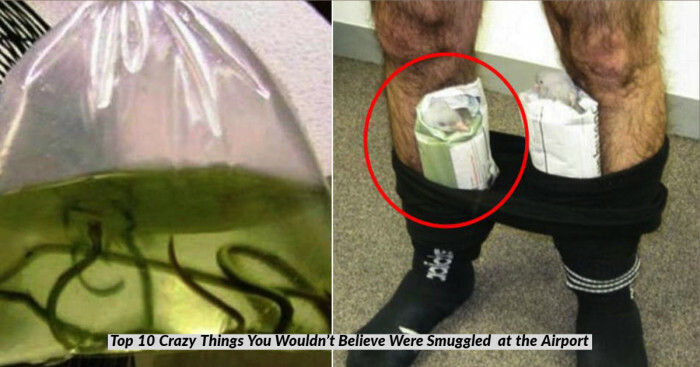 The incident faded from the memory along with lost sentiments, it was only known from a few ancient texts and scripts. At the end of the century, after a massive flood, the central island already sunk under the weight of the buildings – succumbed to liquefaction. The remaining and the artifacts made from the diorite are preserved and showcase into what it was 2300 years ago. 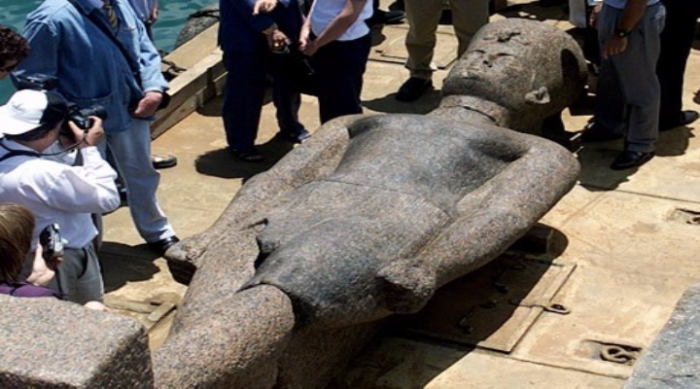 The harbor of Thonis- Heracleion is one of the great cities of the world that controlled all the trade into Egypt. The city was criss-crossed with canals, a kind of ancient Egyptian Venice, and its islets were abode to small sanctuaries and homes. 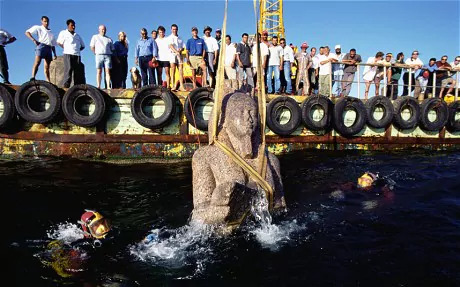 Once Heracleion was the grand city, today its history is largely hidden and no one is quite sure how the city ended up underwater.